Just watch John Bentley groove!!! 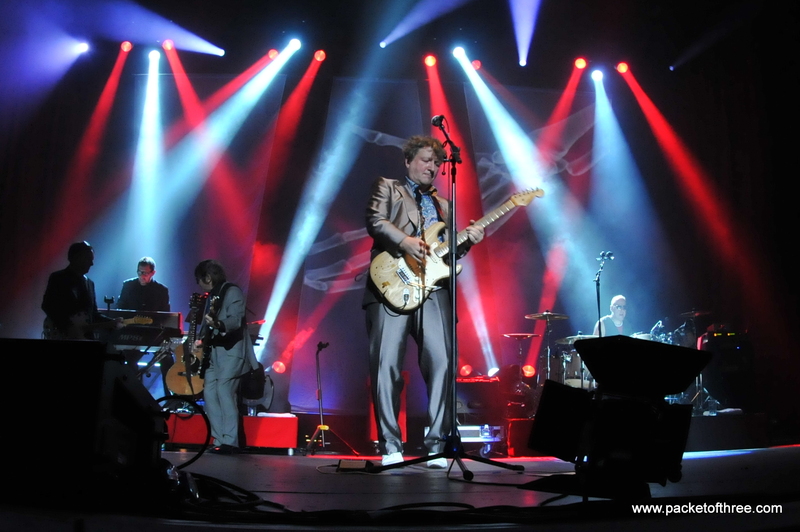 13 Responses to "Squeeze – 27 November 2010 – live at Manchester Apollo"
It’s going to be strangely emotional to see them again in the same venue so many years later. In 1979 they played It’s So Dirty and I had to wait nearly 30 years to hear them play it again live. I can’t wait for them to perform it tonight. I was there in ’79 too & of course I’ll be there tonight. I am also looking forward to “It’s So Dirty” which has been overlooked for far too long – it’s in my Top 10 Squeeze songs – cannot wait. Tonight is a bit special for me as I’m taking my daughter to her first Squeeze gig along with a (long standing Squeeze fan) mate of mine who has flown in from Belgium especially for tonights concert. With a little luck we may bump in to each other. I’ll be at the front in the pit with my camera, so please come say hello! I saw you during the gig taking pics, but couldn’t get to you as I was in the front circle. Nonetheless it was a terrific night. All the best. Glad you had a fantastic time Wayne – shame we couldn’t get to say hello. Next time! Have a great gig tonight! Manchester, the site of my first Squeeze gig as a 15 year old in 1979. Venue: The Manchester Apollo. It was good to be back in Ardwick Green as Squeeze played the Apollo again. The hard man who approached me when I parked the car advised me to move it further away and in sight of the security cameras because of the junkies. I took his advice. Squeeze were magnificent. Two Pearl and Dean style adverts were played before the gig – one personal appeal from Glenn for Love Hope Strength and one ad for the Spot the Difference CD – available from the Merch. stall. Huey Morgan’s introductory rap is a classic and helps build the tension as the band take to the stage. Black Coffee in Bed seems an unusual opening number to me, but taken at a furious pace, and with some great guitar work, it’s a fantastic choice. The choreography of the dance routine is getting better and better, the light show was spectacular and with the extra room on the Apollo stage the projected video was a clear bonus. I was taking photographs throughout the show in the wide, luxurious carpeted pit in front of the stage, so expect to see some of the best in the Subculture and Squeeze application soon. I’m just copying 1400 files from my memory card now. Then it was off to a local pub for a lock in. You know it’s going to be a good night when you hear the words “I’d like to run up an enormous tab” at the bar. And it was. Fantastic. Great review! Hope you’re head isn’t pounding too much this morning! Sueeze were FANTABULOUS! Totally agree the dance routine is getting better and better, and as for the sound of the gorgeous Glenn juxtaposed with Mr. gravel-voiced Difford – MARVELLOUS! I noticed that Chris got so carried away with his fancy footwork there was almost a Status Quo guitar strut thing going on. But gold star of the evening has to go to Simon, the only drummer I’ve ever seen who nearly fell of the stage, what an achievement! Yes, Simon, we all saw the roadie catching your balance for you! A great great night from an awesome band! PS Nearly shrieked like a fishwife to say hello to you btw David! whetted my appetite for monday night now ! !